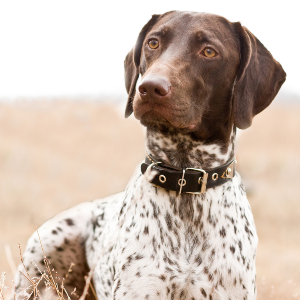 Bred as an excellent pointer with a good nose. Intelligent, energetic, easily trained, and usually friendly dogs. Good watchdogs with some being reserved with strangers. 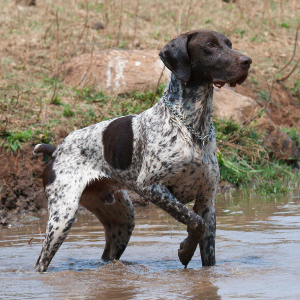 Towards the end of the 19th century, German hunters were in need of a good all round hunting dog, and so a new breeding experiment began. The brief included some mandatory traits for the dog. 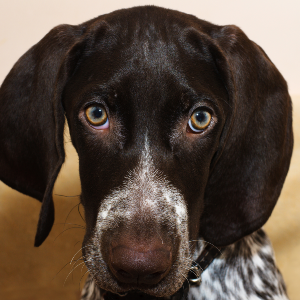 It was to be an excellent pointer with a good nose. It was to be a great retriever of birds and animals. But sadly… it wasn’t as easy as first thought. 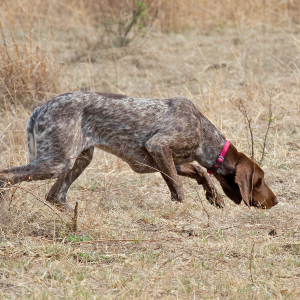 Early attempts at crossing a Spanish Pointer and a Hannover Hound didn’t work. The new breed simply howled too much on the hunting trail. 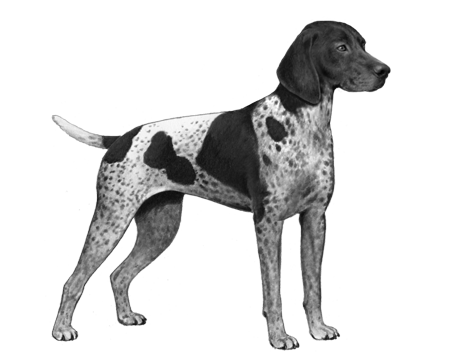 Cue more attempts, only this time crossbreeding Bloodhounds, Foxhounds, French hounds and the English Pointer. 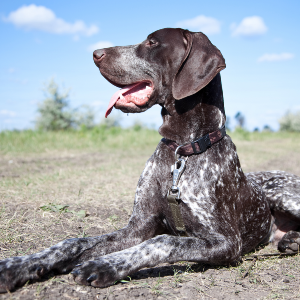 Eventually, and with a lot of patience, the German Shorthaired Pointer was born. The perfect solution – and a perfect family pet to this day.